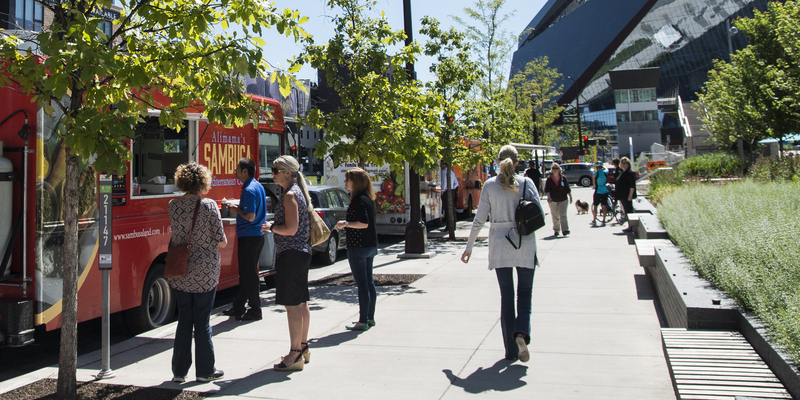 Green Minneapolis sees a green future for downtown, with tree-lined streets and active public spaces. 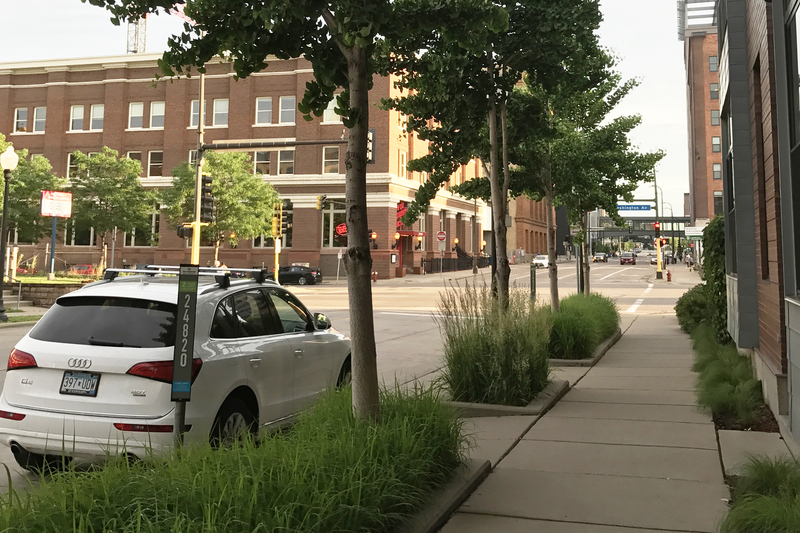 Greening Lab is a pilot project that advances our goal to plant and maintain hundreds of street trees from North Loop to East Town and points in between. Greening Lab provides supplemental watering and maintenance for existing, young trees across downtown. 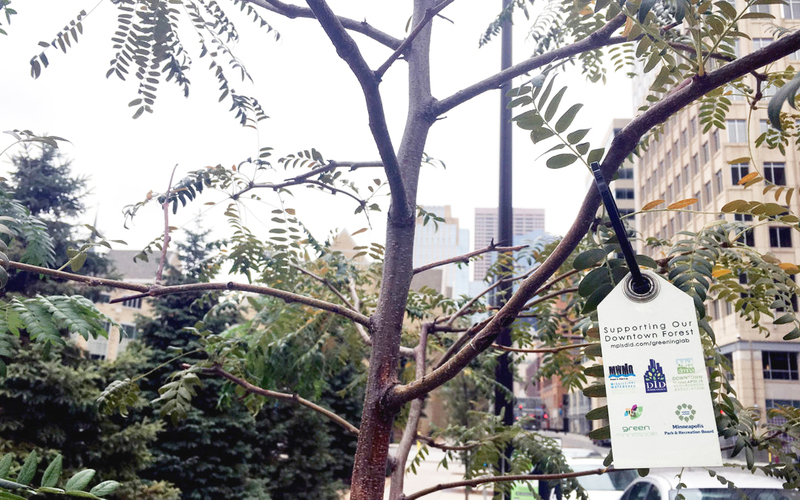 We launched a mobile messaging and tree tag communication system to engage with residents and visitors and prompt real-time feedback about tree conditions. We also seek opportunities to plant new trees with effective planting methods throughout the city. Greening Lab is produced in partnership with the Mpls Downtown Improvement District, with support from the City of Minneapolis, Downtown Minneapolis Neighborhood Association, Minneapolis Park & Recreation Board and Mississippi Watershed Management Organization. Learn more about Greening Lab from the Mpls Downtown Improvement District. 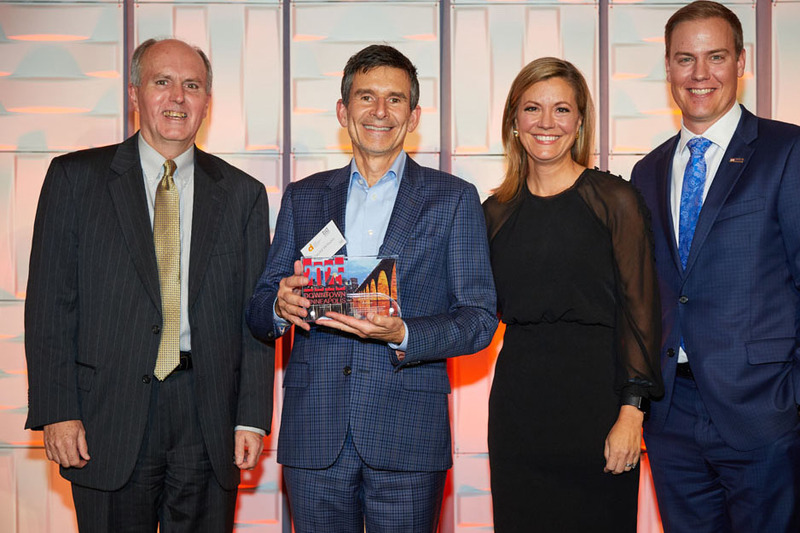 Learn more about the 2025 Plan and Leadership Awards.